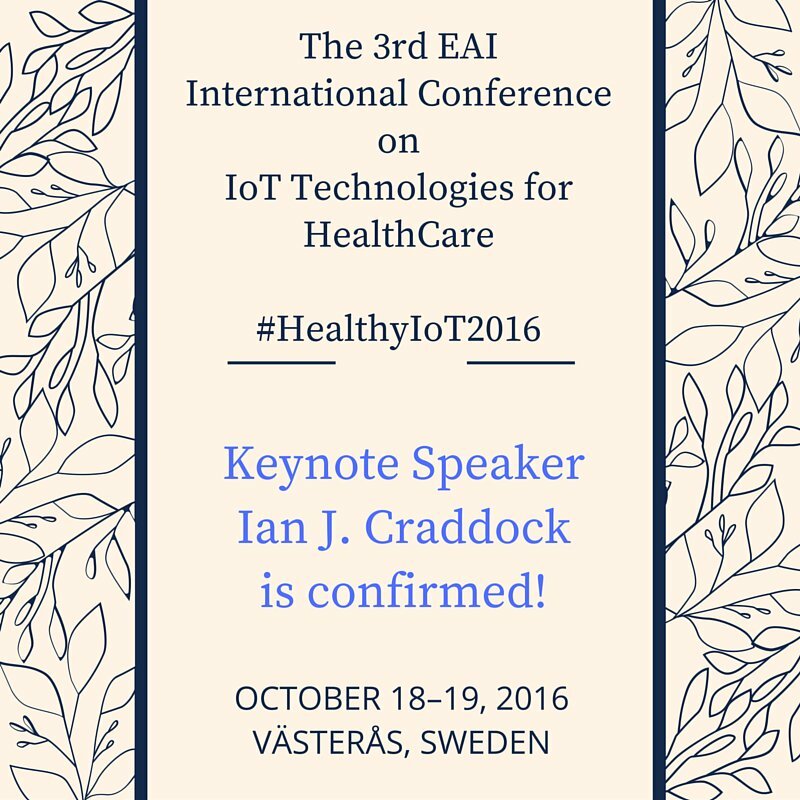 HealthyIoT 2016 is the third one of an international scientific event series dedicated to Internet of Things and Healthcare. The Internet of Things, as a set of existing and emerging technologies, notions and services, can provide many solutions to delivery of electronic healthcare, patient care and medical data management. HealthyIoT aims to bring together technology experts, researchers, industry and international authorities contributing towards the assessment, development and deployment of healthcare solutions based on IoT technologies, standards and procedures. HealthyIoT 2016 is organized at Aros Congress Center, Västeåas that is centrally located in the city of Västerås. It is about 5 minute walk away from the central train/bus station and 15 minute walk away from Mälardalen University. Register for HealthyIoT 2016 HERE.